The latest edition of the 7 Nights Guide to Vermont Restaurants & Bars hits stands next month to correspond with Vermont Restaurant Week. That means my fellow food writer Corin Hirsch and I have been busy updating nearly 1,000 restaurants' listings. Because of language barriers, Chinese spots always pose a unique challenge: How do we make the most of their menus without clear verbal communication with the owners? This year, I tried to collect as many menus as possible to find dishes worth mentioning myself. Most places traded exclusively in the sesame chicken and lo mein you'd expect, but my favorite surprise was Essex Chinese Restaurant, which recently took over the space occupied by Vietnam Restaurant. Turns out, the usual Americanized suspects are available at Essex Chinese along with a succinct selection of Cantonese dishes from its Guandong-native owners. Many of the choices are noodle soups, such as the one above. 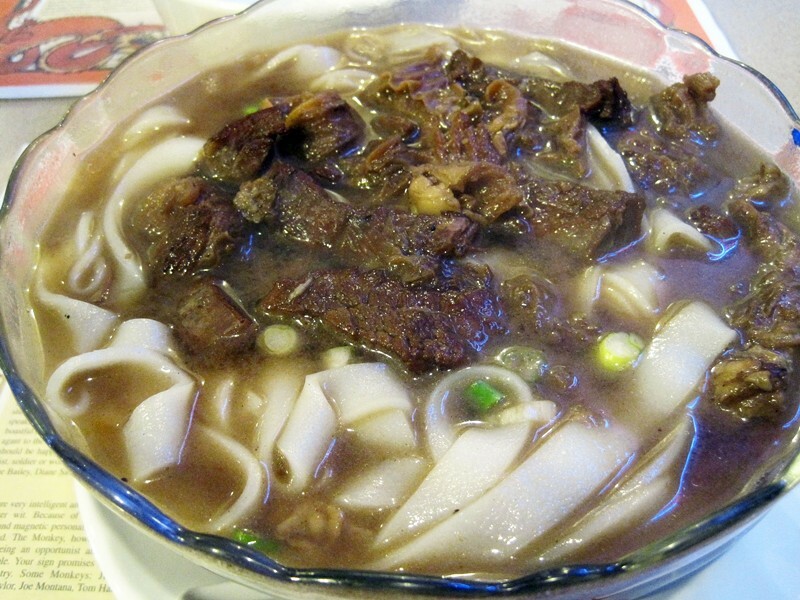 Beef brisket, pork or shrimp are available with three types of noodles. I tried mine with ho fun, basically pappardelle made with rice rather than wheat. As the server brought my bowl to the table, the air popped with the aroma of five spice. The lightly beefy broth of the $6.95 dish was indeed dominated by the mix of spices. The classic flavors also suffused the tender brisket in the soup. With every bite, the thick slabs burst with cinnamon, anise and clove. The quality of the meat itself and its preparation were both pleasant surprises. I was expecting the thin, crunchy slices I find in pho. This was more like my Jewish grandma's brisket, with a Chinese touch. The only inkling that the butchering was another culture's was the presence of a few folds of flesh that appeared to be tripe, not brisket. 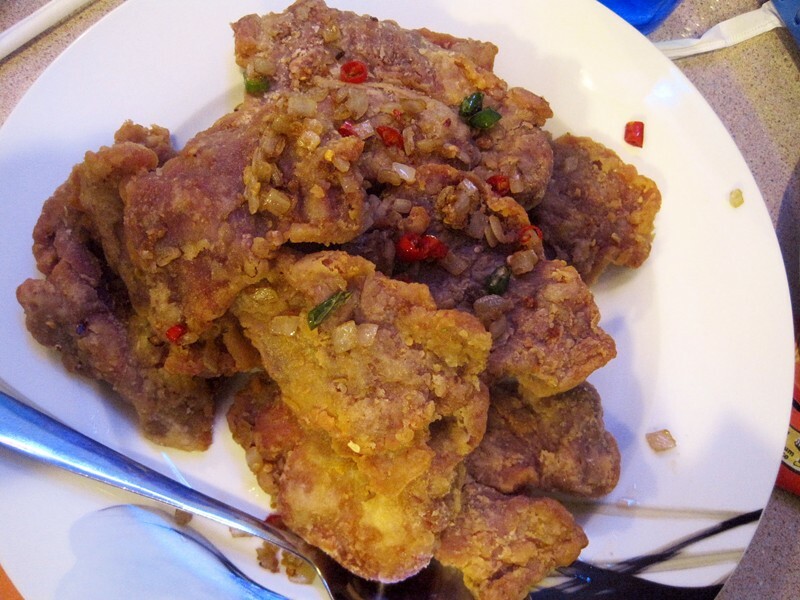 Few dishes achieve complexity with as few ingredients as salt-and-pepper pork. The only other version of the dish that I've seen in Vermont is at South Burlington's Zen Gardens. I'm a long-term fan, but I think Essex Chinese's is even better, if perhaps more challenging to the average laowai palate. This iteration improves on basic salt with one that's lightly smoked. White pepper is enhanced with a dash of Szechuan peppercorn for that unmistakable mouth-numbing sensation. All this in a crispy crust surrounding, juicy fatty slices of pork. As any Jewish grandmother would say on her break from kashrut (except mine, who prioritizes meat over the threat of Gehenna), "What's not to love?" When done right, the dish is one of cuisine's best mixes of high and low brow, and it's prepared to perfection at Essex Chinese Restaurant. Since shrimp in fried milk or shredded-pork fried noodles would break my $35 Alice Eats bank, I took a leap and tried an American-style combination dinner. At $6.50, it would have to fail utterly in order to disappoint. Compared to the other two dishes I tried, the food piled on the plate was strangely devoid of flavor. The fried rice, speckled with cha siu pork and egg but no vegetables, had less taste than the plain white rice that came with my pork. It would be a slight exaggeration to say that the boneless spare ribs tasted like "red." The connotation of the color is too strong. General Tso's chicken was unmitigatedly sweet, with a hint of pineapple. In its favor, though, there was more chicken than coating, and it was of good quality. 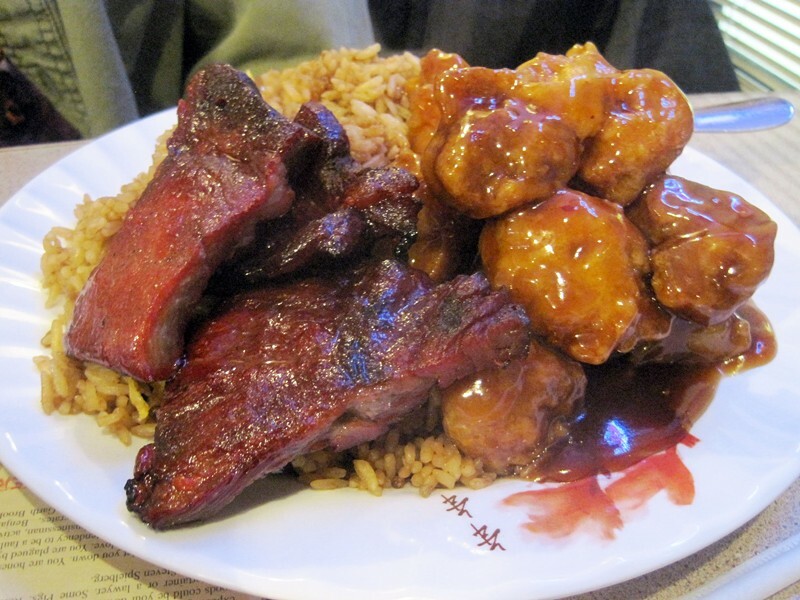 When reviewing Americanized Chinese food, we count small blessings. This feast ended with me taking home some of each dish. My server, through labored English, offered to send me home with an extra cup of broth to go with my remaining noodle soup. Quite a value! Sadly, what came home with me tasted like canned chicken broth, with nary a hint of five spice. I guess next time I'm in the mood for Chinese soup or spicy fried pork, I won't be choosing takeout.